I was having a chat with my good friend, and fellow Jobu’s Rummer Brian D last night, and he pointed out that today is Bobby Bonilla Day. Let’s all celebrate the day the Mets continue to pay off the worst contract ever doled out in the history of the Amazin’ franchise! For those of you who don’t know the story, our very own Brian D covered this very topic briefly in his “The Bottom 5: Worst Baseball Contracts Ever!” post back in 2013. I’ll rehash the details for you guys just in case, but only to help you better celebrate with us. Every Mets fan cringes when they hear this guy’s name. 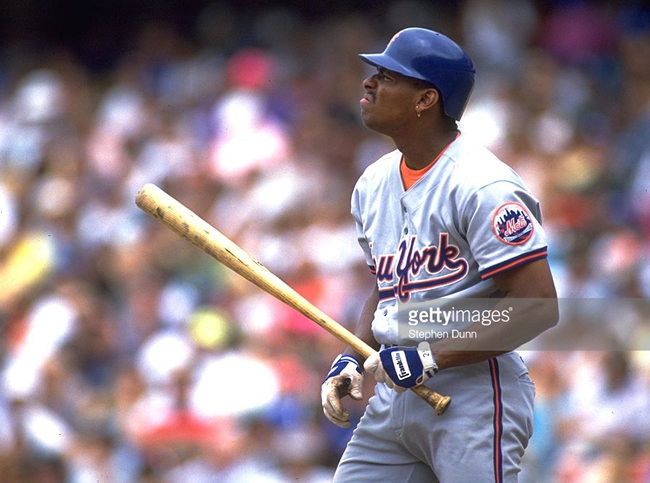 Bonilla signed with the Mets all the way back in 1991 for what was then the biggest contract in baseball (5 years, $29 million) and, although he had his share of ups and downs with the team, he was pretty productive. After spending some time with Baltimore, Florida and the Dodgers, he came back in 1999, but all he did was argue with then manager (and newly deemed Athletic Director of Sacred Heart University in Fairfield, CT) Bobby Valentine, and play cards with Rickey Henderson during the ’99 NLCS. The Mets decided to dump him soon thereafter, but rather than buy him out of his contract, they deferred it. Strange right? The club, which was struggling to make payroll, somehow thought it was a better idea to just defer nearly $6 million of the final year of Bonilla’s contract. So, instead of paying him the lump sum of the $5.9 million they owed him, they deferred the payment on the contract until 2011. Because of an interest rate of nearly 8%, they would then pay him the money over a period of 25 years, starting in 2011. This turned the $6 million they owed him into roughly $30 million. Needless to say Bonilla, will never have to work another day in his life. In fact, he currently makes more than almost everyone on the Mets 2013 roster. On another note, Bonilla is also owed money by the Baltimore Orioles from his time on the club in the mid-90s. He is also earning a deferred payment until 2015 from them! What a business man! Now, yours truly has met Bobby Bonilla before–as a young lad when I was working part time at KB Toys–and trust me when I tell you he’s using his Mets money responsibly. Anyway, here are some fun video highlights of Bobby Bo’s greatest accomplishments in the blue and orange! Here’s Bobby making an awful throw and then falling down, but still recovering to get a key put out to end an inning! Here’s Bobby yelling at, and threatening, a helpless reporter! Here’s one of funny professionals telling the story about when he threatened to fight, and I think murder?, another reporter! We all know how Bobby’s gonna be celebrating, possibly by taking somebody to the Bronx, so how are you party down on Bobby Bonilla Day, fans?